The name of this special interest section of the American Association of Law Libraries (AALL) shall be the Government Law Libraries Special Interest Section (GLL-SIS). B. to represent its members' interests and concerns within AALL. The Section shall conduct its affairs in conformity with the Bylaws of the American Association of Law Libraries. Membership in this Special Interest Section or participation in any activity shall not be denied or abridged to any individual on account of race, color, religion, gender, age, national origin, disability, sexual orientation, or gender identity. 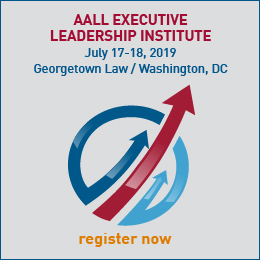 Membership shall be open to any AALL member requesting affiliation with the Government Law Libraries Special Interest Section as provided in the AALL Bylaws. Membership shall be renewable each year. 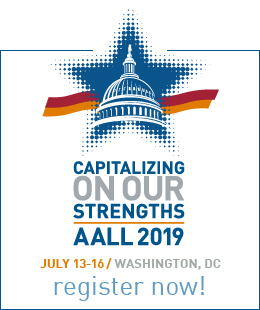 There shall be an annual meeting of the Section held in connection with or during the annual meeting of AALL, as provided in the American Association of Law Libraries SIS Handbook. Meetings shall be open to all members of the Association (AALL), but no person may vote in any meeting who is not a Section member in good standing. The quorum for all voting shall be thirty (30) members present. Voting at meetings will be by voice unless a ballot is requested. A majority vote of those present and voting will prevail on all business matters and elections. In the case of a ballot vote, the chair or the chair's designee shall count the ballots. The officers shall perform the duties usually pertaining to their respective office and such other duties as may be assigned by the Executive Committee or the membership. Officers shall serve until the adjournment of the annual business meeting. All vacancies in offices shall be filled by the Executive Committee for an interim term until the next regular election of officers, at which time said vacancies shall be filled by election, except the Vice-Chair/Chair-Elect automatically will become Chair upon a vacancy in such office. A. Chair. Shall serve for one year and automatically become Past Chair. B. Vice-Chair/Chair-Elect. Shall serve for one year and become Chair for the following year at the close of the current annual meeting. C. Past Chair. Shall serve for one year. D. Secretary/Treasurer. Shall serve for three years and shall record the minutes of the meeting, keep the records of the organization, including the financial record, give a written account of the funds of the Section when requested to do so by the Executive Committee of the Section and prepare such documents as directed by the Chair. A. The Officers of the Section, named in Article V Section 4 above. B. Three (3) Members-at-Large, elected from the Section, serving for three-year (3-year) staggered terms. C. Newsletter Editor, appointed by the incoming Chair during even numbered years, who serves as an ex-officio member of the executive committee. The Editor shall serve for two (2) years and shall issue at least three (3) newsletters to the members per year. The Executive Committee shall conduct business between membership meetings by telephone or email vote as necessary. There shall be a Nominating Committee appointed by the Executive Committee, upon recommendation of the incoming GLL chair, to consist of three (3) members, none of whom shall be a member of the Executive Committee, and none of whom shall be a candidate for office at the succeeding election. Each member of the Committee shall serve for a term of one (1) year. The Chair of the Committee shall be designated by the Executive Committee. The Committee shall nominate at least one (1) candidate for the position of Vice-Chair/Chair-Elect, Member-at-Large and Secretary/Treasurer (for the years that position is on the ballot.) All candidates shall be members in good standing of the Section. Names of candidates, together with their written acceptances, shall be presented by the Nominating Committee to the Chair in sufficient time to enable the Chair to inform the members of the nominations, by mail, in the newsletter, or broadcast email as the Chair decides. Further nominations may be made upon written petition of ten voting members in good standing. Such petitions, accompanied by written acceptance of the nominees, must be filed with the Secretary/Treasurer no later than March 15. The Secretary/Treasurer shall prepare an official ballot, including nominations by petition. A. The Secretary/Treasurer shall oversee the distribution of the official ballot to each member of the Section no later than April 1. B. The ballot shall be sent electronically. Members may receive a mail ballot upon request to the Secretary/Treasurer. The Secretary/Treasurer shall ensure that the electronic balloting is fundamentally fair and preserves the right of secret ballot. Electronic ballots should be returned no later than April 20. C. In the event of a mail ballot, ballots shall be marked, sealed in plain envelopes and returned to the Secretary/Treasurer no later than April 20 in covering envelopes bearing on the outside the name and address of the member voting. D. In the event of a mail ballot, ballots shall be marked, sealed in plain envelopes and returned to the Secretary/Treasurer no later than April 20 in covering envelopes bearing on the outside the name and address of the member voting. E. The Secretary/Treasurer shall verify current membership of each voter. F. The candidates receiving the greatest number of votes shall be elected. The Nominating Committee shall notify the Chair and all candidates of the election results at the earliest possible time and report the results at the annual meeting. G. In case of a tie vote, a run-off election shall be held by special mailing/distribution. There shall be such standing or special committees as the Executive Committee or the membership of the section shall create. These bylaws may be amended at the annual meeting of the Section by a majority of the members present and voting, or by majority of the votes cast by a mail or electronic ballot conducted by the Secretary/Treasurer. Notice of proposed amendments shall be provided to the Section's members, or be published in the Section's newsletter, thirty (30) days in advance of the meeting, or of the mailing or distribution of ballots. Any amendment must be presented to the AALL Committee on Bylaws and Resolutions for review. The GLL-SIS will conduct its affairs in conformity with the Bylaws of the American Association of Law Libraries. The rules of order mandated by AALL's Bylaws shall govern all deliberations of this section.